This website project needed to be finished quickly in order for the client to attend a trade show in the USA. 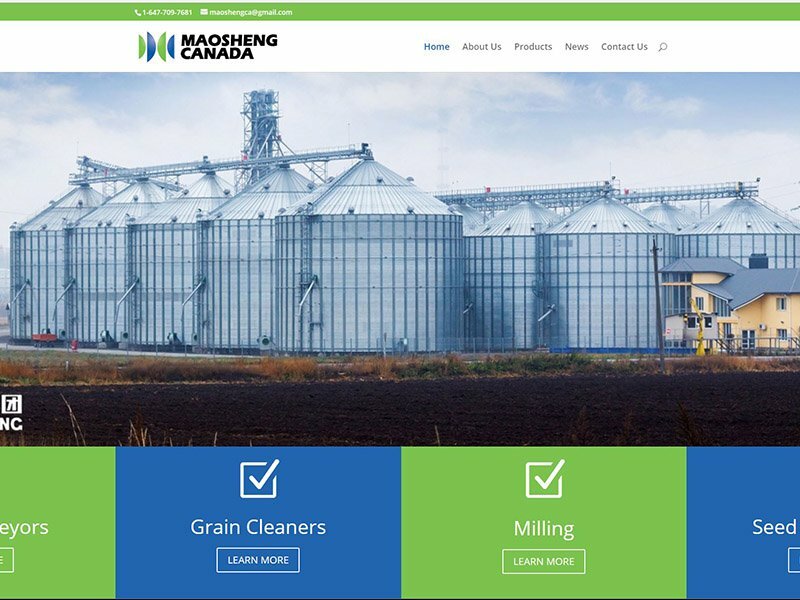 It also required a state of the art design that showcased detailed information on their wide range of farming, seed and grain handling equipment. This client is a giant in Asia and was there first expansion into North America. A polished clean look & feel that is organized and easy to navigate reflects well on this large manufacturer and indicates the level of professionalism that they in turn will bring to their own clients. This website design was completed on time and within budget and contributed to their successful North American launch.